Since the earliest days of flight, Hispanic men and women have shaped aviation—breaking records, exploring the farthest reaches of our world, and shaping what’s possible in the aerospace field. In 1910, Peruvian aviator and engineer Jorge Chavez became the first person to fly across the Alps. He was 23 years old and had only just earned his pilot’s license. On September 19, 1910, he took off from the French side of the Alps for his record-breaking journey. His 51-minute flight was successful, but he crashed during landing. Chavez survived the crash, but died from injuries four days later on the Italian side of the Alps. 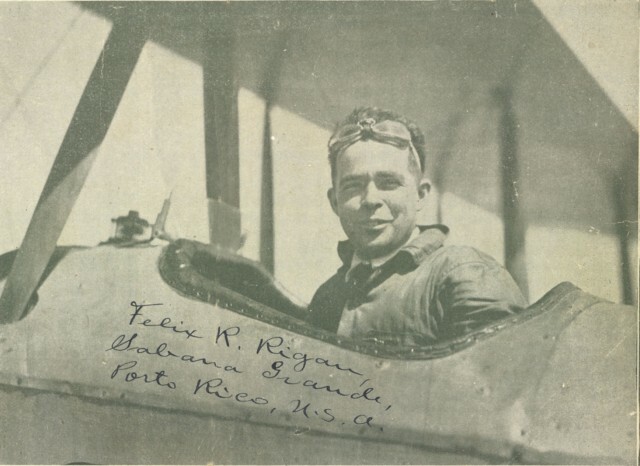 Felix Rigau Carrera, the first Hispanic fighter pilot in the United States Marines. As a child, would-be aviator Felix Rigau Carrera launched model airplanes off rooftops in his hometown of Saba Grande, Puerto Rico. He would go on to become the first Hispanic fighter pilot in the United States Marines. 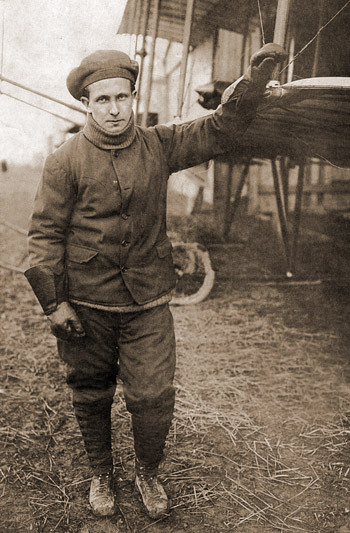 Rigau Carrera earned his bachelor’s in mechanical engineering and joined the Aviation Section of the US Signal Corps during World War I as a paratrooper and pilot. After WWI, Carrera returned to Puerto Rico, and became the island’s first air mailman. In the 1920s, he traveled to Puerto Rican cities by air to much fanfare, earning him the nickname “El Águila de Sabana Grande,” the Eagle from Saba Grande. Born to a military family in San Juan, Puerto Rico, Custodio went on to become the first Latina US military pilot. She served in the United States Air Force (USAF) for 24 years, retiring in 2003 as a Lieutenant Colonel with over 11,000 hours of flight time logged. Born and raised in the Dominican Republic, Chalas moved to Massachusetts in 1982. She enlisted in the Army National Guard during high school and was commissioned as an aviation officer in 2001. She became first in her class at Fort Rucker Army Aviation School and earned over a dozen awards, including the Senior Aviator Badge. “When I was in flight school, there were over 3,000 pilots that flew Black Hawks,” Chalas said. “Out of those, there were 120 females.” Chalas herself became the first Latina National Guard Black Hawk pilot.